Racehorses have been trained in Chantilly since anyone can remember. It would be fair to say that the horses are part of the fabric of the town, perhaps just as much so as the bobbin lace, which Chantilly was famous for in the 17th century. Matthieu Vincent, Trainer Centre and Racecourse Director and Marin Le Cour Grandmaison, Assistant to the Director, have the responsibility of managing the racecourse and training grounds. Surrounded by forest and located some 30 kilometres from Paris, Chantilly is the iconic home of French racing and training. 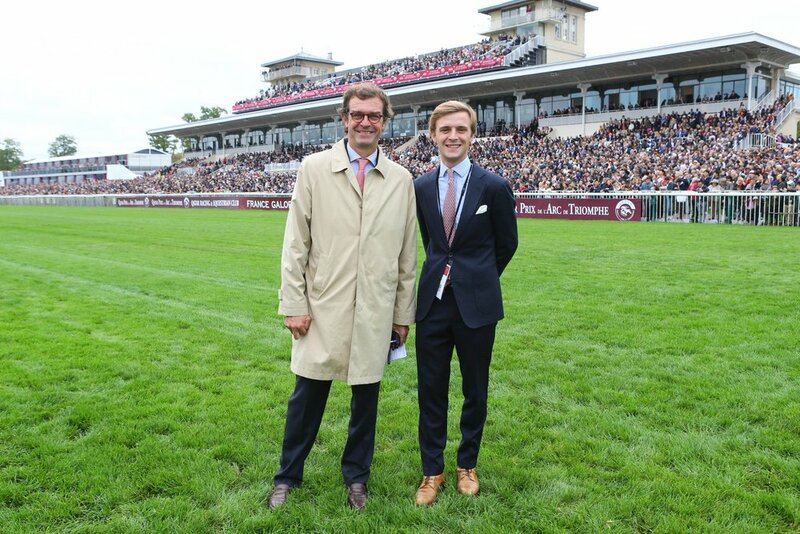 Managing the hectares of training grounds and the racecourse is no easy task, but the responsibility lies in the hands of Marin Le Cour Grandmaison and his boss Matthieu Vincent, who splits his time between Chantilly, Deauville, and Maisons-Laffitte. They see themselves as ambassadors for racing in Chantilly, evangelical about what the town has to offer and keen to expand the centre’s reach to up-and-coming young trainers. Spending time in their company, it becomes clear that their primary focus is to give the trainers the tools they need to train horses better. Chantilly is home to 110 trainers and approximately 2500 horses, of which 250 are jumpers (National Hunt). “In 2010 we had 2400 flat horses and 600 jumpers here and the average trainer was maybe 60 years of age,” says Vincent. The all-weather track has proven to be a good investment for the local economy, partly funded by the town, which put in €1,500,000 of the €5,000,000 cost. The annual tax income runs into a healthy seven figure sum. On top of that, the town is home to 2000 workers whose income comes from the racing industry, with a staggering 50% of the workforce being stable staff or riders. Who knows what the shrinkage would have been like if the all-weather hadn’t happened.